Thinking about trying to get Alco S-2's units done in 2 rail. Any interest? what roads do u like. If they used the same type of drive as the SW8-9-1200 and MP15DC that would be great. Might there be enough interest in CP and CN (MLW) versions? Bit of a long shot I guess. Well, I would sure be on-board for a couple if you can get them done in 2 rail. If they were atlas master line level engines with low geared drive I would take the nysw and lne. Depends on the manufacturer but I would be in for one, undec or ATSF ? Erie had 34 Alco S2s. I would be interested ONLY if single motor drive in 2 rail such as Atlas SW9 or the recent GGD products. I would not have any interest in the 2 motor drives done by MTH or Lionel even if 2 rail. I'd be interested in a PRR S series switcher but as others have said, only if it is geared for scale speed running using a single horizontal motor drive (like in the AtlasO Sw7/9 or Sunset's diesels), and has fixed pilots. I don't care for twin vertical motor drives as one of the motors intrudes into the cab and typically the models have low torque motors, small flywheels, and are geared for very high speed running. I understand Lionel produced an Alco Switcher with a decent horizontal drive several years ago - but only in 3 rail. FYI... Lionel's most recent ("Legacy") Alco S switchers and especially their NW-2 / SW-7s have a single motor with shaft drive. The drive in the SWs is more logically engineered than the one in the Alcos. Whether it's better than the vaunted cassette drive in the Atlas SW switcher is hard to say. It has more moving parts than the Atlas (it's design is similar to a current Sunset 3rd Rail diesel), and its performance as sold is bolstered by high-resolution electronic speed control. Add the Long Island RR. I would be in for 2 with the Blount trucks and the horizontal drive. an S-2 in Milwaukee would suit me just fine center drive only or one just in primer and I'll roll my own. L&NE, straight DC or DCC with ESU Loksound. Yes. Center drive with ESU loksound. Union Pacific and Rock Island in as delivered black. Definitely. First choice would be PRR with Trainphone antennas. If the details were good and had horizontal drive I’d be in for two. Depending on the specifics, I'd be interested in two in Central Vermont. The specifics would need to include a single horizontal motor drive. I'd really prefer straight DC, but if push came to shove, I'd accept ESU Loksound. No smoke. I'm presuming this project is about 2-railing either MTH or Lionel versions, rather than new tooling. If so, I would prefer the Lionel. I'd really prefer Atlas, as I'm not interested in either DCS or Legacy, or TMCC, but I'm guessing we aren't talking about new tooling. I would be interested if they were the above specs. Roo. Definitely. 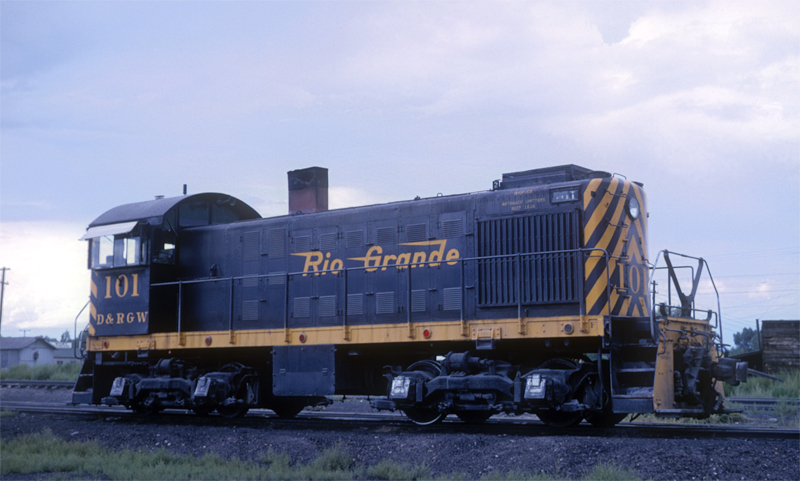 By chance do you know if these are going to have the AAR switcher trucks, or will they have ALCO-GE's unique design? Southern S2 with horizontal drive with ESU. Please consider offering undecorated models for those of us whose chosen roads may not meet the necessary minimum demand to warrant production. S1 and S2 had Blount trucks. S3 and S4 had AAR trucks. S1 and S3 were 600 HP or so, S2 and S4 were 1000 HP. S3 and S4 superseded the S1 and S2 models respectively. So if an an S2 is indeed offered as suggested it should have Blount trucks not AAR trucks. And it should have the bigger radiators for the S2 and other appropriate details. I would most likely (depending on my budget at the time and price) be in for a NYC version. I don’t hate the twin vertical drive like I used to but like everyone else I prefer the single horizontal motor and also would like DCC and sound. I’d take one in Milwaukee in a heart beat. But am not a fan of china drives and such. I would be game for a New Haven ALCO S-1 or S-2 in the New Haven's older orange and dark green script herald scheme as well as a Santa Fe ALCO S (whatever) in the Zebra stripe scheme and an SP ALCO S (whatever) in the tiger-stripe scheme. At the risk of ranting, I believe that the long-term future of O scale involves modules, public set-ups and locomotives smaller that the massive Electro-Motive and GE six-axle road-switchers that dominate the rails today. NYNH&H would be my favorite, but their S-2s had a different shape to the cab roof. It's unlikely that would be modeled. I'd also go for NYC and PRR. Same comments as the previous posts: Must be available in 2-rail, preferably with drive similar to Atlas SW-8, fixed pilots. can we expect any alco's in the future? IF these are Factory DCC/Sound equipped with ESU Loksound and have fixed pilots I would be interested in a few in Erie and B&O. Who would make these for you? PRR with horizontal drive, fixed pilots. Blount or Blunt? I thought the truck was a Blunt truck, and the guy that started the Steamtown operation in North Walpole NH was a Blount? Would be interested in SP black & orange.